This tale will have readers questioning the lives of their neighbors and possibly their own family members. Freaky, eerie, and terrifying are all appropriate adjectives to describe this realistic psychological thriller. 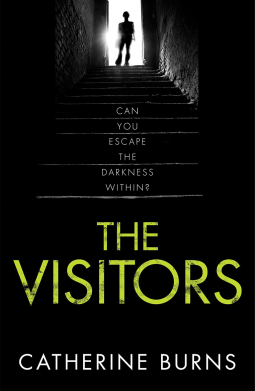 THE VISITORS is equal parts thriller and horror. In fact, I believe this book should (and probably will) be turned into a movie. If that happens, I will be at the front of the line. Catherine Burns has created two of the most horrifyingly realistic characters I have ever encountered. Their family had money once and the siblimgs grew up in the same Georgian townhouse that they still occupy. Once a grand home, the siblings have allowed the house to fall into disrepair. In fact, even Marion, who seems to have stopped growing both physically and emotionally around the age of twelve, realizes that if she ever had a visitor, they would think that she and John were hoarders. Though Marion is odd, John is not only strange, he is also creepy and often sadistic toward anyone who crosses him. The worst thing about John is his secret in the cellar. Marion knows very little about what goes on down there. She just knows that is where he spends most of his time and she tries to put it out of her mind. When John suffers a sudden heart attack, Marion realizes that she will have to go to basement. It is there that she has to face John’s secret, and she will be forced to decide what to do about it. As readers delve deeper into the pysches of both Marion and John, what they find will astonish, disgust and horrify them. As a reader this is a book that really is ‘impossible to put down.’ I suggest that once you are ready to read this book, that you set aside an entire weekend. Tell the kids to order pizza ’cause Mom is too busy reading. 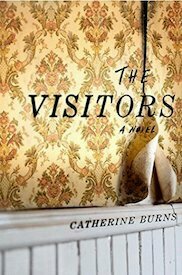 Captivating and astonishingly readable, THE VISITORS is one of the creepiest books I have ever read. There are no police chases or secret service agents trying to save the world in this book. It doesn’t need any of that. Instead, it focuses on the characters and does this so well that it deserves it’s 5 Star rating. **Thank you to Netgalley for providing me with a free copy of this book. My review was not required and is completely voluntary. CATHERINE BURNS was born in Manchester. She is a graduate of Trinity College, University of Cambridge and worked as a bond trader in London before studying at the Gerasimov Institute of Cinematography and teaching film theory at the University of Salford. 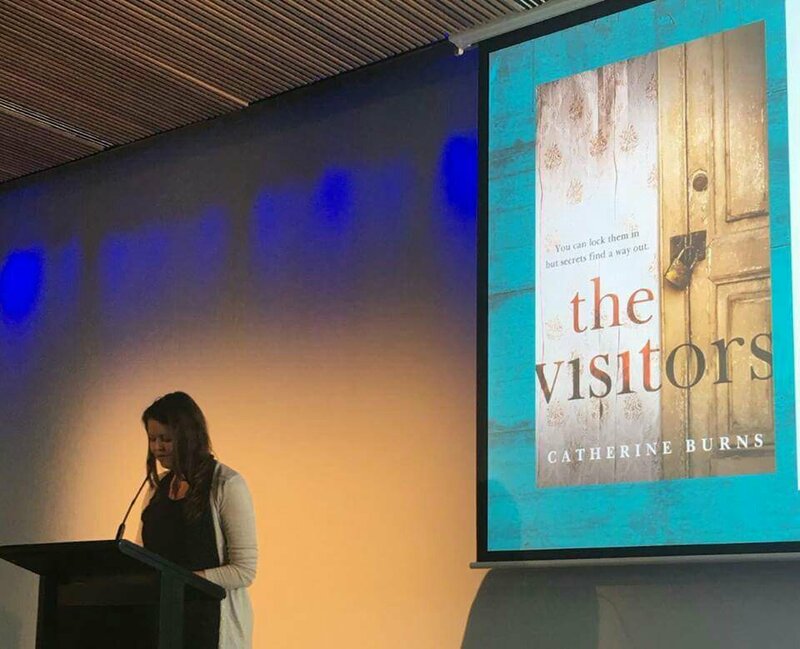 The Visitors is her debut novel. Legend Press was set up in 2005 and is focused primarily on publishing mainstream literary and commercial fiction. We are based in London, UK. Legend Press is now the most successful independent in 30 years to start up with no capital and runs a range of successful across-industry initiatives and joint-ventures. Legend Press is part of the Legend Times Group.